JALALABAD: As many as eight people were killed and dozens more wounded by multiple explosions at a sports stadium in the eastern city of Jalalabad late on Friday night, officials said. 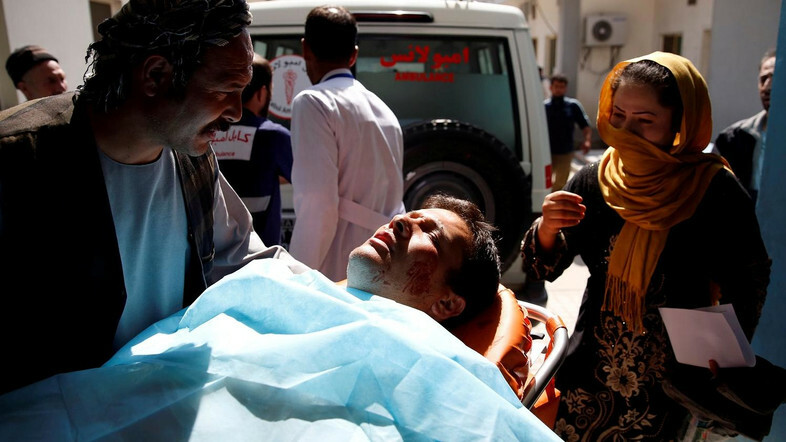 The blasts occurred at a football stadium in the city that was hosting a cricket match at the start of the holy month of Ramadan, Sohrab Qaderi, a member of the provincial council said. He said the blasts were caused by two rockets which killed at least six people and wounded 50 but there was some uncertainty about the final casualty total. Attaullah Khogyani, a spokesman for the provincial governor of Nangarhar said eight spectators were killed and 43 wounded by at least three back-to-back explosions. Nangarhar, on the border with Pakistan, has seen growing violence this year, most recently last week when a coordinated attack on the state accounts office killed at least 15 people. Last week, the provincial governor was dismissed over deteriorating security in the province, which has become a stronghold for Islamic State fighters as well as the Taliban.